2009 – Among the 10 recipients of the IIFA-FICCI Frames Awards for the "Most Powerful Entertainer of the Decade"
2013 - Honored as one of the 25 Greatest Global Living Indians by the Honorable President of India Pranab Mukherjee to mark the completion of 25 years of NDTV. 2003 – A rare species of orchid, Ascocenda was named after him in Singapore. 2004 – Time magazine selected him as one of 20 "Asian Heroes" under the age of 40 and was featured on the magazine's cover. 2005 – He was featured on the cover of the Asian edition of the National Geographic magazine twice, February's issue . 2007 – He was awarded the Ordre des Arts et des Lettres Order of the Arts and Literature) by the French government for his “exceptional career”. 2007 – His lifelike wax statue was installed in London's Madame Tussauds wax museum. Additional versions were installed at Madame Tussauds museums in Los Angeles, Hong Kong, and New York in 2010. 2007 – Another lifelike wax statue was displayed in Grévin museum in Paris, along with that of Gandhi, the only other Indian to receive a similar honor. 2008 – He was conferred the Darjah Mulia Seri Melaka, which carries the honorific Datuk, by the Yang di-Pertua Negeri Tun Mohd Khalil Yaakob, head of state of Malacca inMalaysia, for "promoting tourism in Malacca" by filming his film there in 2001. 2008 – Newsweek named him one of the 50 most powerful people in the world, ranking him at number 41. He was the only artist and the only movie-star in the list. 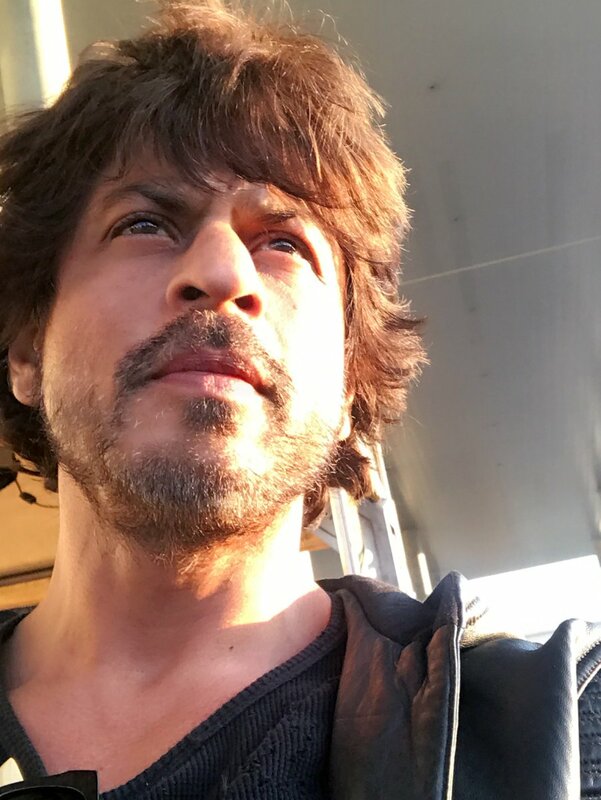 Newsweeksubtitled his article as "The king of Bollywood is opening minds in some closed-off cultures" and noted, "Who is the world's biggest movie star? Brad? Will? Nah. His name is ................., and he's the king of Bollywood." 2009 – He was invited to present the motion picture Slumdog Millionaire at the 66th Golden Globe Awards. No Indian actor had previously been invited to present at the Golden Globe Awards. 2009 – He was given a Black Belt Honorary in taekwondo by the South Korean government. 2009 – He was declared amongst the 500 most influential Muslims worldwide by Georgetown University. 2010 – Was invited by NASDAQ, the world's biggest stock exchange, to ring their opening bell in New York, along with Kajol, for the promotion of his film, thus become the first Indian actors to open the market, an honour usually reserved for CEOs of major corporations. 2010 – He was recognized as an icon of religious unity by experts from around the world at a conference at Vienna University. 2010 – He became the first Indian actor to be given the rare honour of signing the guest book at Berlin's Town Hall. 2010 – Entertainment Weekly states in their Most Powerful List that Khan is the "megastar" of Bollywood. 2011 – He became the first Bollywood actor to be featured on the cover page of Los Angeles Times Calendar section. His two films have been noticed and appreciated by the American media outlet. 2011 – He was honored with the Unesco Pyramide con Marni award for his charity engagements and social commitment towards providing education for kids. He is the first Indian to win this accolade. 2011 – He was honored with L’Etoile d’Or by Mohammed VI of Morocco the King of Morocco during Eleventh International Film Festival of Marrakech. He is the first Indian to receive the honor. 2012 – He became the first Bollywood personality to be honoured with the prestigious Chubb fellowship at Yale University. 2012 – He was honoured with the prestigious Brand Laureate Legendary Award for his unmatched contribution to the Indian Cinema and also for being India's foremost brand ambassador in Malaysia. 2012 – He was conferred with one of Morocco's highest honours (a rare state honour, Wissame Al Kafaa Al Fikria (award of intellectual merit)) while attending the 12th International Film Festival of Marrakech by Prince Moulay Rachid. 2013 - Appointed as goodwill ambassador by the government of South Korea. 2014 - He was recognized as World's Second Richest Actor. 2014 - He was awarded with Legion of Honour, France's highest civilian award, on July 1. 2014 - Appointed as an ambassador for Interpol's Turn Back Crime campaign. Im so confused....can u pple plz mention ur old user names who changed dem..cant identify.